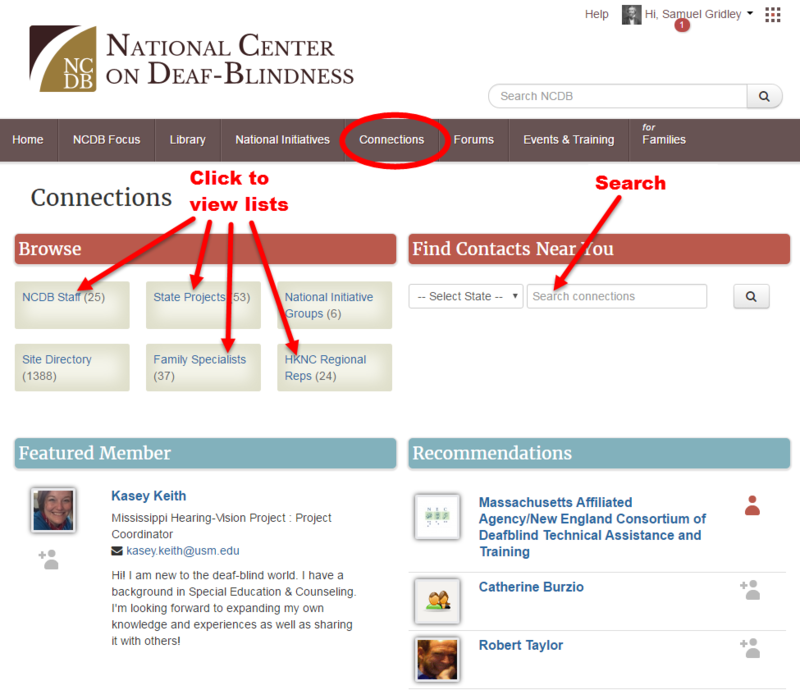 Want to find contact info for a state deaf-blind project? Do you know someone’s name but have forgotten their email address? The Connections section of the site can help! Get to it by clicking on Connections in the main navigation bar. Search for people using the Search connections box. Or you can select a state, leave the box blank, and click the Search button to see a list of everyone from that state who has a profile on the site. Click on the links under Browse to view lists of NCDB staff members, state projects, family specialists, and HKNC regional reps. Click on a person's name to visit their profile. Click on a state project's name to see staff members and contact info.